RESERVE EARLY!! SPACE IS LIMITED!! 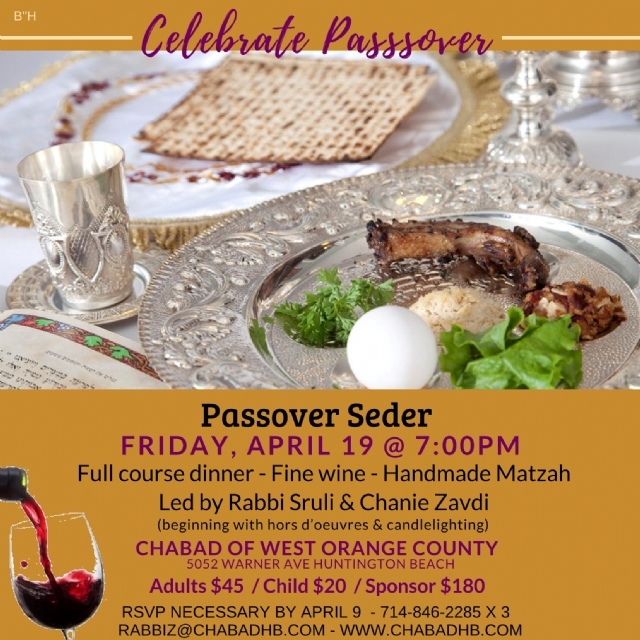 For more information: (714) 846 - 2285 x 3 or email: RabbiZ@ChabadHB.com.